I love to review about DIY projects, video games, music, TV shows or movies and so much more. I always like to share bright and new ideas with the world. 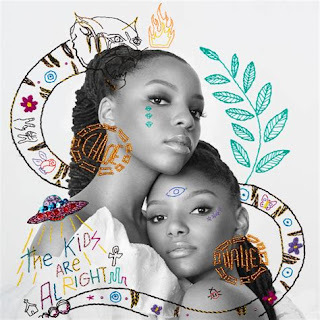 The Kids Are Alright is the debut studio album by contemporary R&B duo Chloe x Halle. It was released on March 23, 2018. The album itself is about empowerment, greatness, love, memories, strength, and identity in finding one's place in this world and generation. Along with the album, the duo also released a 10 minute short film of the same name. You can go and watch the film by clicking on the link you see below. Hello Friend (Intro) serves as the album's opener. This is where the sisters are both full of self-questioning and self love with the lyrics, "Hi friend how are you?/ What you need?/ Got you?/ What's your day been like?/ Has it been alright? You good? Mmkay/ We both trill/ Wait, is it just me this way?/ Cause if you good then that means I'm tight/ All we need is hype/ Since there no one knows to ask if they aight", and then they go to the second verse in which they are talking into a mirror singing, "Wait who is that (who is that) staring back at me?/ Is someone here for me?/ No/ It's that mirror playing tricks/ (Mirror)". The outro at the end of the song serves as the intro into "The Kids Are Alright". The Kids Are Alright talks about the generation full of people today that can stand on their own, work hard, and still have fun while doing it. This song is based on the girls' lives and the moment they're in right now as they sing, "We don't really care about the trends you like to follow/ You know what they say, they here today and gone tomorrow/ Oooh/ Oooh/ If I'm in the mood, I get as ratchet as I wanna/ Turn around and show you, I could bless you with some culture", and then continues on to the pre-chorus with, "Workin' ain't no nine to five/ California that's a vibe/ Friends, that's always down to ride/ You know, you know that's the life/ We just wanna have some fun/ It's some love for everyone/ Pass it 'round when you get done/ That's the move, yeah, that's the one". They also let their listeners know that they're alright saying, "We all, we all, we alright/ The kids are alright/ We all, we alright/ Yeah, the kids are alright". You can watch also the music video for "The Kids Are Alright" down below. Grown (from Grown-ish) finds Chloe and Halle trying to take on a world on their own singing, "Watch out, world, I'm grown now/ It's about to go down/ My heart beat is so loud/ Mama, look, I'm grown now/ (I'm grown! )", and then Halle sings on the first verse, " I can't sleep, I'm wide awake/ I've been up since yesterday/ Scared 'cause I know it ain't a game/ Like, who am I gonna be today?/ Tell your homeboy what's good/ I'm tryna fit in your hood/ Got the weight of the world on me/ But no regrets, this is what I say/ Watch out, world, I'm grown now/ It's about to go down/ My heart beat is so loud/ Mama, look, I'm grown now/ (I'm grown!)". Click on this link to listen to "Hi Lo"
Hi Lo featuring Goldlink is a song about loving your flaws with Chloe singing, "When my eyes are swollen when I cry/ Yeah, I like it, yeah/ When I got this scar on my thigh/ When I cannot tell each day apart/ Yeah, I like it, yeah/ Freckles on my face connect like stars/ Yeah, I like it", and then the girls come together singing on the chorus, "My highs ( I love, love 'em)/ My lows ( I love, love 'em)/ My highs ( I love)/ My lows (Yeah, yeah, yeah, yeah)". Everywhere is about speaking great things into your life. "Money" used in the song is a metaphor for love, happiness, success, and fortune. Chloe sings, "I got money everywhere!/ Falling off a tree/ I got money everywhere!/ Far as you can see", and then they go on to the next verse with, "I painted my way up/ I hustled my way up/ I'm dealing my way up/ I work for everything I do/ I come up and be in my shoes/ I bet you can't do what I do". Click on this link to listen to "FaLaLa"
FaLaLa (Interlude) is the sixth track and the first interlude on the album. It has a dark element to it as Chloe and Halle's brother screams on the song while they're singing, "Fa, fa, la, la, la, la, la (1,2,3,1,2,3,1,2,3,1,2,3)/ Fa, fa, la, la, la, la, la (1,2,3,1,2,3,1,2,3,1,2,3)". Then "FaLaLa (Interlude)" turns into "Fake feat Kari Faux". Fake featuring Kari Faux is about some people in the world trying to act like they have, but Chloe and Halle just see them for acting fake about everything with the help of rapper Kari Faux singing, "Why you gonna be so fake? (Why you be so fake? Fake)/ Why your smile be painted on your face? (Smilin' in my face. Face)/ Why you even speak my name? (Why you be so fake? Fake)/ I guess I make you feel some type of way/ Ay, ay, ay, ay, ay, ay, ay, ay, ay/ (Feel some type of)/ Ay, ay, ay, ay, ay, ay, ay, ay, ay, yeah". Baptize (Interlude) is the second and last interlude on The Kids Are Alright as the sisters described a failed baptism with the lyrics, "Dunk me under water, trying to baptize me/ I see you underwater, trying to rescue me/ Hold me in the water as you baptize me/ Dunk me under water, I come out the same", and then it closes with, "I won't change for you, I won't change for you/ I won't change for you, I won't change for you, no/ I won't change for you, I won't change for you". Down is about the girls thinking about their future, but then they realize that it can be scary and stressful to think about with the lyrics, "It's been a little bit crazy, I've been feeling some type of way lately/ It's too much, I said no fun/ So, can we have the remote to the TV called life?/ Can we play fast forward, rewind?/ Rewatch while we wine and dine it's so fine straight or spine and/ We won't grab it better catch it for a fly", and then to the pre-chorus and chorus with, "All this way too much for me (me)/ All this way too much for me (for me, me)/ Giving me anxiety/ All this way too much for me/ Can we all take it down, down, down/ Can we all take it down, slow-slow, down, down, down, down". Happy Without Me is about looking back on a past relationship with bittersweet memories as Halle sings, "I remember we were on the bleachers sharing secrets when we/ Look up, it'd be "Where did the time go? "/ And I remember you would hold my hand and call me baby while/ we dancing in the park lot slow", and then Chloe exchanges her verses with, "Bittersweet, those memories/ When I see, you with her now/ And it breaks my heart, and it breaks my heart (yeah)/ And it breaks my heart to see you happy, without me". Click to listen to "Babybird"
Babybird tells the story about the empty nest syndrome that parents go through when their kids move out of the house. The song talks about this difficult time through the eyes of the child, as they are overwhelmed by the world that they're facing. That's kinda what Chloe and Halle are going through as they begin with, "You just flew out of your nest (You just flew out of your nest)/ Starting a brand new quest( Starting a brand new quest)/ But the world is trying to test (But the world is trying to test)/ And you feel alone and try to mold into the rest (And you feel alone and try to mold into the rest)", and then move on to the chorus with lyrics like, "Babybird, grow some feathers/ Yeah, yeah/ Babybird, you can do better". Warrior (from A Wrinkle in Time) has lyrics that adapted to the film as tell the story of the characters with the lyrics, "Oh my darling, I've been missing you for quite some time/ So, I'm gonna lift the oceans, just to see your eyes/ I could be a warrior, yes I'm a warrior/ There's no need to worry, love/ Look around, it's glorious/ Close your eyes and taste the sun". Cool People is a guitar driven song that talks about the journey in which Chloe and Halle find that there are some "cool people" among them, even though the world is so wicked. The girls harmonize together on the chorus with, "Cause darling when you smile like the rain dries out/ Now, there's no more room for clouds/ Got me singing, Hallelu, ah Hallelu, oh/ When you hold my hand, it just reminds me how/ There's still cool people in the world". Baby On A Plane is about a generation for the adults young and old of the world. The song opens up with a baby's crying followed by an airplane intercom's beep as they sings, "Cry for me baby, cry for us all/ Cry it away, all night long/ Cry for me, cry, cry for me/ Cry for me, cry/ Cry for me angel, cry for us all/ Do it for me 'cause we gotta be strong, oh". 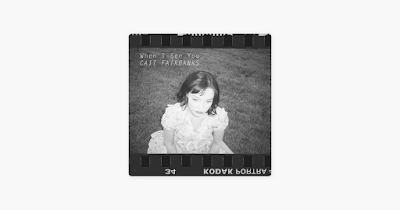 If God Spoke is where the sisters sing about God from their perspective as far as what he's thinking and saying when it comes to certain decisions. On the second verse, they begin with, I remember when you yelled at me, oh/ Cursed my name and then stomped your feet, oh/ It will come any day/ Just be patient and wait/ You are my little baby/ What I plan for you will be crazy/ Few more minutes be patient/ Make a wish anyway". Drop is a song where the duo is sick of this guy coming up with the same excuses as they sing, "Baby, I get sick of you/ You're that same old tune/ I don't ever wanna hear you again/ Why are you here, I'd like to skip/ Wanna be deaf to it/ Can I turn my ears off?/ But time stops/ (Time stops)/ When your beat drops/ (Beat drops)/ It's too strong-ong, long-ong/ But time stops/ (Time stops)/ When your beat drops/ (Beat drops)/ Turn it off, off, off, off". Fall is the closing song on The Kids Are Alright. The duo try to look for a positive side to any negative situation in the world. The songs opens up with, "Blue likes to drop sometimes, one by one/ But I don't mind, no I don't mind/ Cause luck is on my side/ I feel the drip drop, nonstop, pour on tonight", and continues with, "So what if the rain falls?/ Let's find the gold at the end of the rainbow/ So what if the rain falls?/ I'll shower in shimmers of gold".